Just north of the Aegean Sea sat Amphipolis, a city of northeastern Macedonia. It was approximately 30 miles (45 km) southwest of Philippi and 5 miles (8 km) inland of the port city Eion. The city was best known for its oil, timber, wine, figs, gold, silver, and woolen textiles. 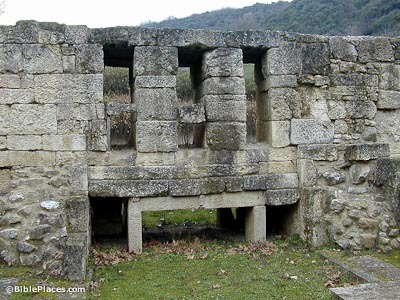 Thracians first founded this site, a strategic military and commercial location, in the 5th century BC. The Greek Archaeological Service has excavated Amphipolis since 1956. Inscriptions, coins, remains of a Roman aqueduct, and classical and Hellenistic tombs are among their finds. The walls, bridge, and gymnasium have also been well preserved. 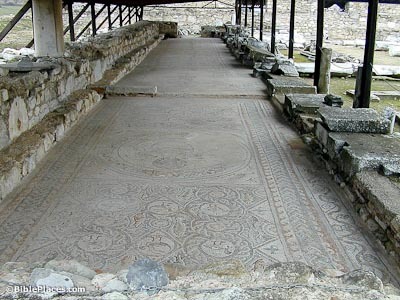 Five churches have been uncovered in which several floor mosaics can still be seen, many showing representations of birds. 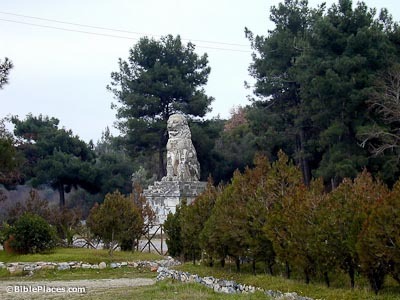 The Lion of Amphipolis was constructed in the 3rd or 2nd century BC and may have honored Laomedon, companion of Alexander the Great who became governor of Syria. Reassembled in the 1930s, it sits in the city today, just as it did when Paul came to the city during the 1st century AD. 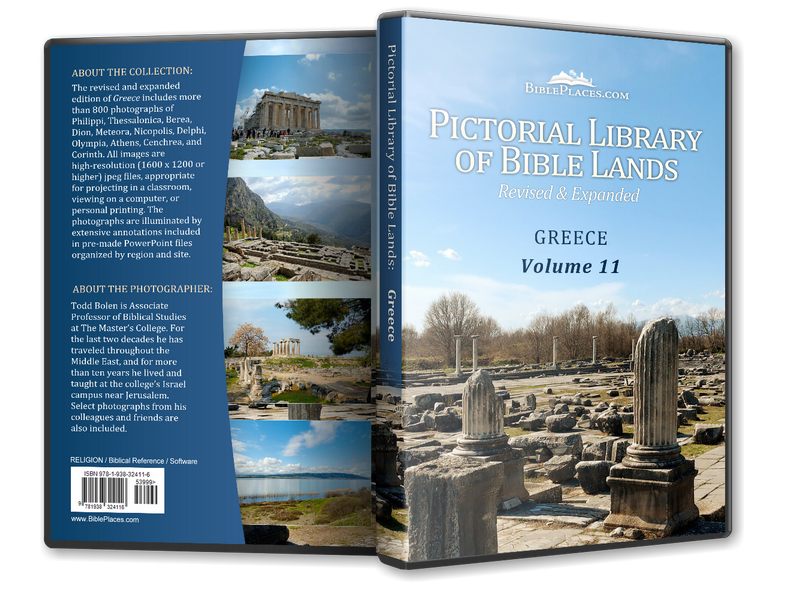 Paul came through Amphipolis with Silas during his second missionary journey, traveling on the Ignatia Way from Philippi to Thessalonica (Acts 17:1). Amphipolis rested on a terraced hill at a bend in the Stremones River, which drained into Lake Cercinitus. 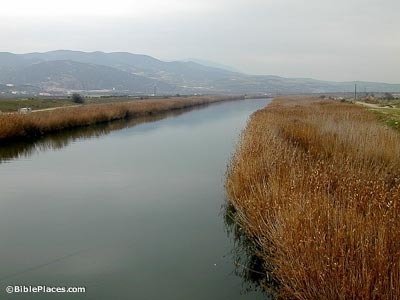 The river surrounded the city on three sides, while a wall protected the city’s eastern side. The Ignatia Way, the main east-west Roman road traveling from Asia to Italy, passed through the city along a bridge over the Stremones in the 1st century AD. Fossilized woodpiles remaining from the bridge can be seen today.